Despite calls for more ethnic diversity in advertising, it appears there’s plenty of people out there who simply aren’t ready for more ethnic diversity in advertising. 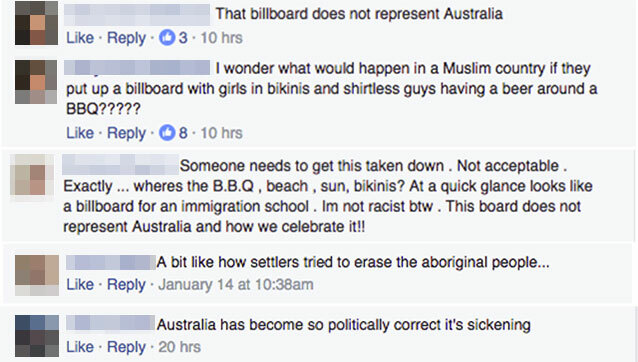 Following on from last week’s rage after budget retailer Target featured a hijab-wearing mum in its ‘back to school’ catalogue comes an OOH campaign in Melbourne promoting upcoming Australia Day festivities that also features two young Muslim girls wearing hijabs. The two smiling models also feature alongside the Australian flag. 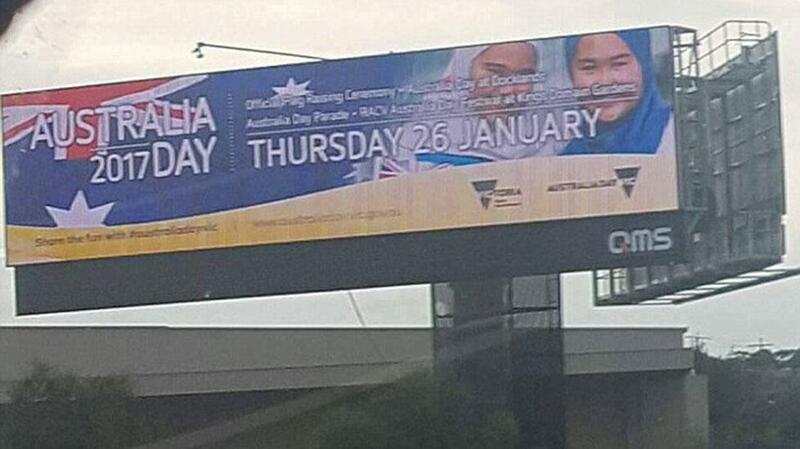 The campaign used a large QMS static billboard alongside the Link Freeway in Melbourne’s south-east. 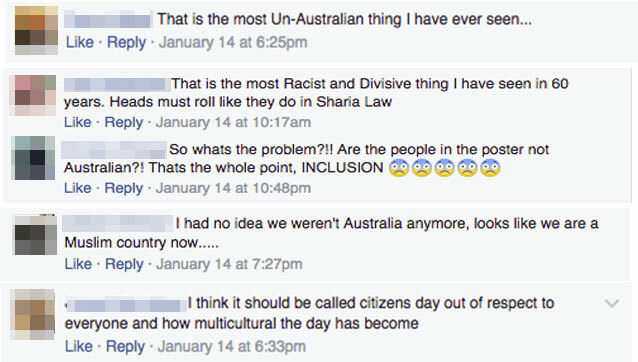 And, as you’d expect, the far-right nutters are none too happy about multicultural Australia being used to promote Australia Day and have vented their anger on social media sites.